How often do you wash your water bottle? 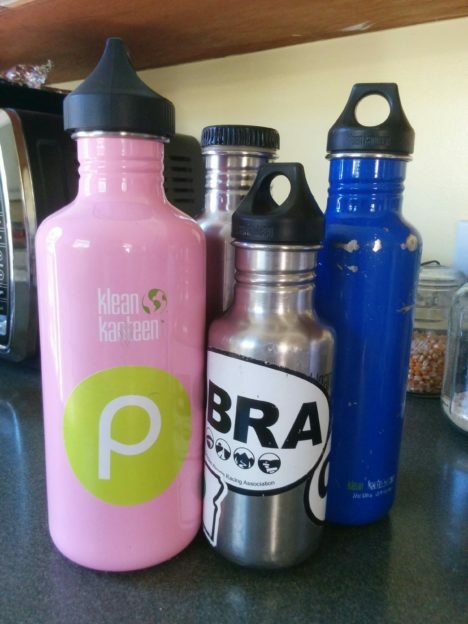 There’s a debate in my house on how often we should wash our water bottles. My husband’s wrong and I’m right. Rick thinks water bottles rarely if ever need to be washed and I think they should be washed every couple of days, at least. According to an infectious disease physician, ideally you should wash them every day. But in most cases, if you’ve got a healthy immune system, you can go a couple of days. Bacteria lives in our mouth and throat and if you share bottles with someone else, they might not be used to your bacteria or viruses. Also, germs everywhere can end up on your bottle that you drink out of. So a quick scrub at the end of the day is a good idea.